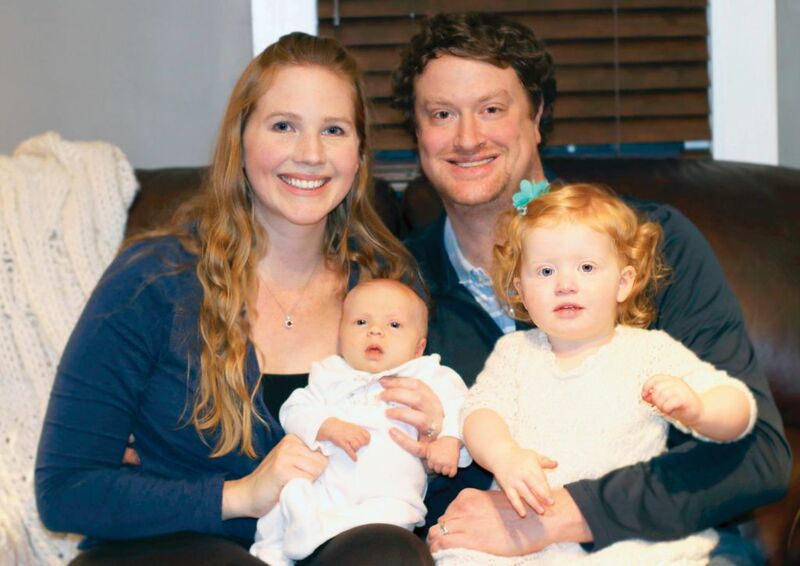 For Ryan and Heather Fischer, 2018 was off to a good start; in January, they welcomed a second daughter, Colette, into their family. The baby arrived just three weeks after our new and extended paid family care leave program went into effect. With dual benefits, the couple is eligible for eight weeks of paid time off each to care for their young family. "When we learned about the new program last fall, I was ecstatic," said Ryan, Digital Capability Manager. He took an initial two weeks of his family leave to help Heather, a forecasting analyst for clinical trials, when the baby was born. "When Heather goes back to work in April, after using her full maternity leave, I’ll take another couple of weeks so I have more bonding time with my new daughter." Being able to take time intermittently, as Ryan is doing, is another hallmark of the new benefit that offers flexibility to take time off for critical life events. Available to all eligible U.S. employees, including hourly workers, it applies equally to new fathers and mothers of birth, adopted or foster children. In keeping with the company’s focus on family, employees who need time to care for seriously ill family members also benefit from the new Family Leave Program. We took into consideration the needs of our diverse workforce and applied a broad definition of family to include all types of caregivers and family members of all ages who need care. While the parental leave benefits are popular with employees like the Fischers, the majority of employees use the time off to care for seriously ill family members. The best advocates for key issues of diversity are those who live with the challenges of that community every day. 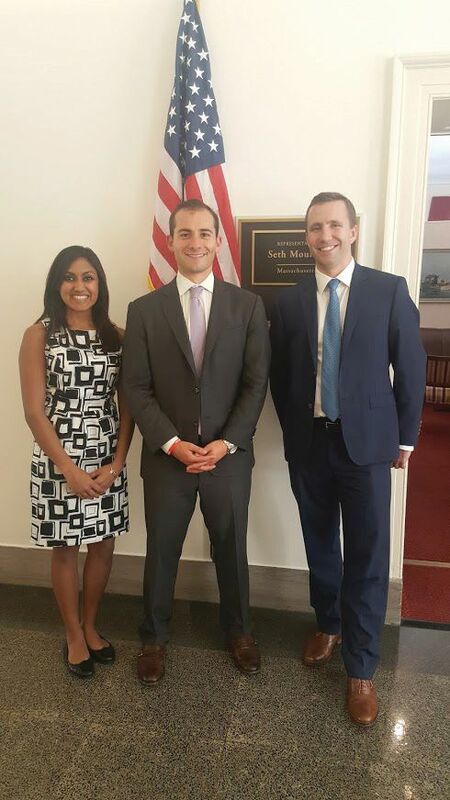 In an effort to help educate lawmakers on issues important to our employees and our company, members of Bristol-Myers Squibb’s People & Business Resource Groups (PBRGs) regularly visit Capitol Hill to meet with members of Congress. These “Hill Days” showcase our company’s commitment to fostering a more diverse and inclusive workplace and to discuss key policy issues. "The PBRG Hill Days provide a wonderful opportunity to share with members of Congress the impressive work Bristol-Myers Squibb is doing to promote diversity and inclusion, both within the company and in the communities where we live and work,” said Lane Penry, Director, Federal Government Affairs and Policy. During visits with Congressional members, the PBRG representatives discuss issues uniquely important to their communities, their contributions to the company’s global diversity and inclusion initiatives, and their views on different policy issues. "It was a thrill to go to the Hill and speak to Congress on what we do, share our passion on promoting Asian talent growth and address the gaps in Asian healthcare internally at Bristol-Myers Squibb and externally via collaboration with large Asian non-profit organizations," said Jing Yang, a member of the Pan Asian Network (PAN) PBRG. Adrienne Gonzalez, lead for the Black Organization for Leadership and Development (BOLD) PBRG, met with members and staff of the Congressional Black Caucus. At these meetings, she highlighted BOLD’s work with Bristol-Myers Squibb research and development organization to broaden and diversify the company’s clinical trials. "It was a privilege to represent Bristol-Myers Squibb on the Hill and to speak to the Congressional Black Caucus about what the company is doing to invest in its black talent and to better serve all of our patients," Adrienne said.